appeared in BSTC Exam 2019 on 26th May 2019 they will be able to Check BSTC 2019 Result Cutoff Marks from here by checking below mentioned links. Students can check BSTC General and BSTC Sanskrti Pre Teacher Test 2019. University of Rajasthan is conducting body of BSTC 2019 Exam. University Conduct BSTC Teacher Exam to provide Teacher Education. In Era of Online Education All Competitors who were applied for BSTC Online Registration at bstc2019.org to get Special Teacher education in various B.ed. College of Rajsthan. Rajasthan Education Department will provide college to all students though completing process of BSTC Counseling 2019. After BSTC Counseling process, university will declare B.ed. College Allotment list. You will get college according to prepared BSTC Merit list 2019. BSTC 2019 Result Declaration Date: 1st Week of June 2019.
if talk about the BSTC exam its college seat allotment process then Education of rajasthan Department has been reserved total 16,000 seats for Diploma Course in Elementary education BSTC course. And All These seats are offered by Total 32 Govt. colleges and 251 Private colleges of Rajasthan State. This Year BSTC Examination was held on 26th May 2019. Approximate 4,78, 818 Candidates are waiting for the BSTC Result 2019. According to Vice Chancellor, prof. Kailash Saudani This total 5,12,382 candidate has been applied for BSTC examination but only 4,78,818 candidate has been appeared in the examination. Candidates who appeared in BSTC Exam 2019 on 26th May 2019 from all over the Rajasthan State. They all are waiting for their result and cutoff marks. You will be able to check your result from here in 1st week of June 2019. All participant can check their BSTC Exam Results by using direct links given below will updated as result declared by Education of Rajasthan Department. Note: Candidates will be given admission to 20920 total seats. To Checking your Rajasthan BSTC Pre. B.Ed (General/ Sanskrti) Exam 2019 Result you can should follow below details. Candidate can check their result by log on at official website by ways like Application form number, Name Wise, Roll No Wise, Mobile No Wise etc. You can Check BSTC Result directly by click on the below available link. After Jump at BSTC result official page. read details on the screen. Now choose way you want to check your result from here. Enter all require details in way you choose once. Your BSTC 2019 Result will be appeared on the system screen. Please Download you result and Take print out for future use. Candidates appeared in BSTC 2019 exam on May 2019 at various exam centers at all over Rajasthan. They will get BSTC Cutoff marks after release result at official website. Here we have update BSTC Previous years cutoff marks and BSTC Expected cutoff marks. You can Guess about your Kota BSTC Merit list by check Expected cutoff District wise for BSTC 2019 Exam. General Male category: 426 Marks. General Female category: 408 Marks. There No Negative Marking for BSTC Exam So its observed that BSTC Cutoff will go high. We have updated only expected and previous year’s cutoff details. BSTC Exam 2019 Official Cutoff Will publish here after release at official website. Candidates appear in BSTC Exam they will get their BSTC Result 2019, Cutoff marks, Merit list, BSTC Counselling 2019, College Allotment list information from here. Jobclicks.in is an Education Website here we provide information about the online education, exams, Education Degrees, exam and job updates. You can connect with by follow us at Facebook, Twitter, Tumbler, Google+ and YouTube as name Jobclicks. 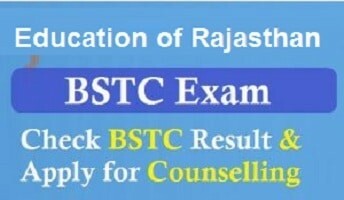 Rajasthan BSTC Counselling 2019: Education of Rajasthan has been declared Rajasthan BSTC Result 2019. Students who passed in BSTC 2019 Examination they can Now register for BSTC Counselling 2019. Student will get admission in BSTC Colleges by passing through BSTC Counselling 2019. So you can register for 1st Counselling online Registration from June 2019. Education of Rajasthan department released Notification for Counselling Dates and Detailed Notification. Students who were appeared in BSTC Examination and passed through the Cutoff Marks they can get admission in BSTC colleges by only through Counselling process. For Get Admission after BSTC Examination student must register for counselling process that is BSTC 1st Counselling. After that University will release list of candidate or BSTC 1st Counselling Merit list for College Allotment. So Selected Candidates can apply for allotted seat by submission of Admission of College and reporting at college by fixed venue. Rajasthan Education Department Soon Release Complete information about BSTC Colleges list and All details about BSTC Counselling 2019 like BSTC 1st Counselling Dates 2019, Counselling process, important instructions and many more details you can check complete details by Check below post here. BSTC 2019 Result Declaration Date: June 2019. BSTC 1st Counselling Result: July 2019 . BSTC Help Line No: Query to Fill BSTC Application Form Online. Kota University had been updated BSTC 2019 Result on 3rd June with BSTC cutoff. candidates who cleared BSTC Exam 2019 they will be able to apply for BSTC Counselling process. So Qualified Candidates can start submission of BSTC Counselling Online application form by Date June 2019.
candidates must submit their application form before the last date June and application fee must be submitted before the last date through e-mitra August 2019.
you must check complete Schedule from above available Schedule. After filling of Counselling form you must submit College Option Form between dates 9th June to 21st June for choose for college for BSTC Course. After Counselling list release you have to pay your course fee before the last date. candidate have to submit 3000/- as registration fee through the E-Mitra Center. After Declaration of BSTC Exam results, candidates will get BSTC Cutoff marks and BSTC Merit list. Candidate will call through prepared counseling list those will updated on official website. People who will qualify the BSTC Exam they will further proceed for counseling process. Kota University Will declare 1st Counseling list and if you will not select in BSTC 1st counseling and BSTC 2nd Counselling list then you should wait for 3rd BSTC Counseling list. People selected in counseling list they should appear at venue with Admission fee and original documents. you will get about the venue through BSTC counseling list. We have updated all Information about BSTC Counselling 2019 here. you should keep in Touch with us we will also updated more update for BSTC 1st Counselling 2019, BSTC 2nd Counselling Merit list, College Allotment list, 2nd Counselling, 3rd Counselling list Etc.